Silica dust comes from crystalline silica, which is the second most common mineral. Sand, concrete,glass, bricks, stone, and many other items can contain crystalline silica. When any of these materials is sawed, ground, drilled or crushed, it releases silica dust into the air.Because silica dust is significantly smaller than ordinary grains of sand, it’s easier for anyone working on projects that release silica dust to inhale it without immediately noticing it. What are the Effects of Silica Dust? If inhaled, silica dust can cause numerous health problems and can be fatal. Although some symptoms may be mild, the inhalation of silica dust can lead to health problems including lung cancer, chronic obstructive pulmonary disease, kidney disease or silicosis – a lung disease that can cause disability or even death. 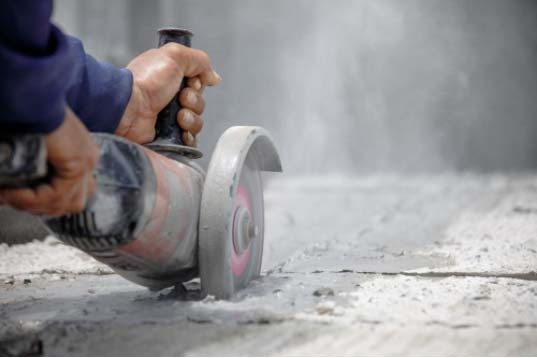 How Can Workers Avoid Silica Dust-Related Health Issues? One of the first steps in avoiding the inhalation of, and health issues related to silica dust is knowing what it is and knowing its origins. As mentioned, silica dust is commonly created when sand, concrete, glass, bricks and other materials are ground up, drilled or crushed, etc. Hence, silica dust is very common on construction sites.Spraying water and using proper ventilation equipment are good ways to help a.) keep dust down, and b. )help workers avoid inhaling it. Workers also can receive regular lung screenings and ensure that their hands, clothes, dishes, etc. are free of dust before consuming food. What Can Employers do to Keep Employees Safe? As an employer, you care about your employees, and OSHA recently released new rules for employers regarding silica dust that you can implement to help ensure your employees are safe and healthy.With the release of the new rules, OSHA stated that employers must reduce the permissible exposure limit of respirable crystalline silica, use engineering controls (such as water and ventilation as previously mentioned),and provide regular medical exams and lung screenings to exposed workers.In addition to complying with OSHA’s rules, employers can provide employees and workers with tools and equipment that can help reduce the risk of silica dust inhalation. At Safety Supplies Unlimited, we want you to have everything you need to ensure the safety of you and your employees.Contact us for more information about the products we sell to help you and your employees stay safe.